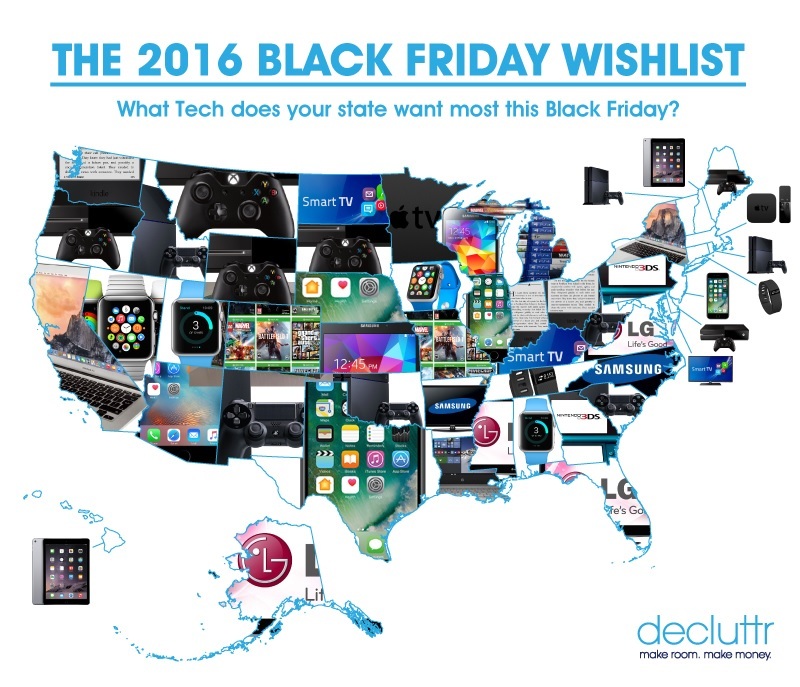 What tech does your state want most this Black Friday? Scoring a sweet deal on Black Friday used to mean camping outside a store overnight then wrestling someone to get your hands on a TV. Thankfully, finding a deal these days is as easy as searching for what you want on Google from the comfort of your own home. 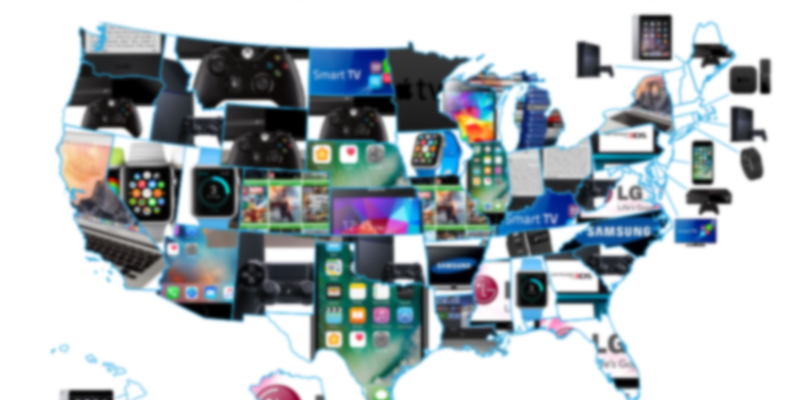 Games consoles are top of a lot of Black Friday wishlists, with folks in Delaware, Maine, Montana, Oregon, South Dakota and Wyoming all searching for the Xbox One, while the PS4 tops Black Friday searches in Idaho, New Mexico, Oklahoma, Rhode Island, Vermont and West Virginia. A lot of people want to get a deal on Apple products too. The Cupertino giants’ products are searched for most in 11 states, with Alabama, California, Iowa, Massachusetts, Nevada, Minnesota, New Hampshire, New Jersey, New York, Texas and Utah all hunting for Apple bargains. Eight states (Alaska, Florida, Kentucky, Maryland, Mississippi, North Carolina, North Dakota and Virginia) are keeping up the time-honored Black Friday tradition of hunting down a cheap TV. Not all states are planning to buy big money items though, with Colorado, Michigan and Missouri happy to settle for some cheap video games. Find out which deals your state has been searching for most below! Decluttr is the fast, easy and FREE way to get cash for your unwanted CDs, DVDs, Games, Books and Tech – and you can get 10% extra cash for your stuff this Black Friday weekend! Just enter the items you want to sell for an instant price then enter the code DECLUTTR10 at the basket to claim your extra 10% cash! ← What were the most popular phones of 2006, and how do they stack up today?